It’s ok, Hammamas towels dry very quickly! 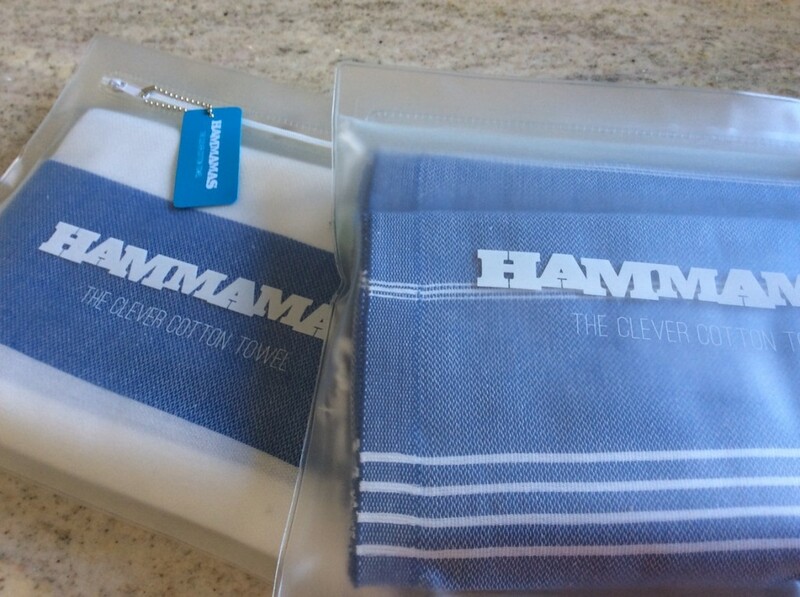 We tried out some fabulous Hammamas towels on our trip to the south of France this summer. Made in rural Turkey (and based on traditional Turkish ‘hammam’ bath towels) they’re large (180cm x 100cm) but lightweight (on average just about 250g) and come in lots of fresh and colourful designs. I opted for some nautically inspired blue and white designs – Original Denim and Bold Azure/White Stripe. They arrived beautifully packaged in a waterproof zip lock bag (which is perfect for carrying in your beach bag both when the towel is dry or damp) and I was immediately impressed by the quality – made from 100% locally sourced Turkish cotton, they definitely had a premium ‘feel’. On day three of our holiday in Marseille we tried out our towels for the first time when we took a boat trip from our hotel in the ‘old port’ to Frioul Island, reliably informed by our hotel concierge that there were a few beaches there, where we could take a dip. Our captain told us – in broken English – that as the sea ‘moved’ that day we might like to sit on the lower deck. But we laughed off his advice, thinking that a little sea-spray never did anyone any harm. Within minutes we were being jet-washed on full-power as our boat bounced through the choppy seas – which is of course where our Hammamas towels came in handy! By the time we had disembarked on the island and walked twenty minutes around the coast to a beach, though, my towel was miraculously dry. We enjoyed using the towels through the holiday – as beach towels, a beach wrap, makeshift picnic rug and even a tablecloth. To me, they are a big improvement on the microfibre towels we’ve always used to take camping (they dry you more efficiently and also dry on the line far quicker). So we’re definite converts to these terrific Turkish towels. We saw plenty of similar looking towels in the markets around France on our holiday but the quality of the cotton didn’t feel as good. 1. 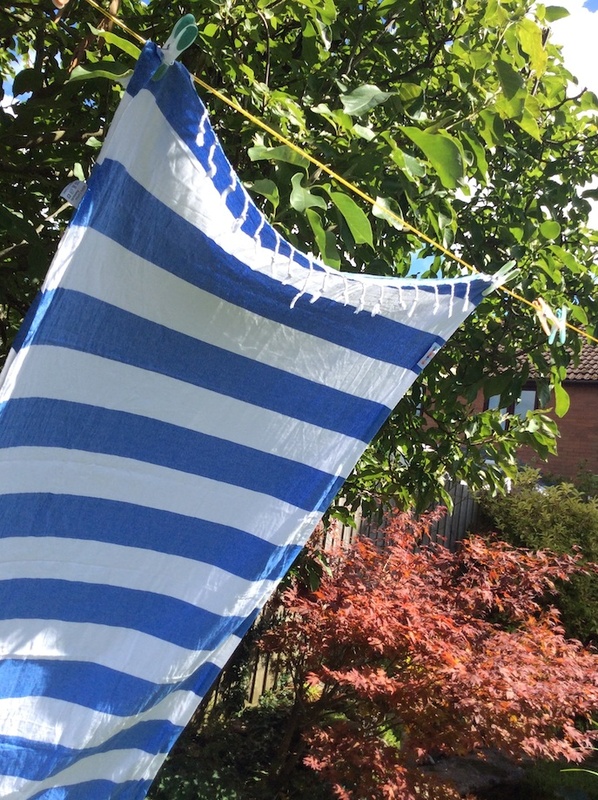 They’re absorbent, dry you off quickly and also dry super-fast on the line/in the sun. 2. They come in a lovely range of classy and bold colours and are made from top-quality cotton. 3. They take up hardly any room in your suitcase or beach bag (much less than a fluffy beach towel). 5. They double up as beach sarongs , picnic rugs and table-cloths. Multi-tasking we like.